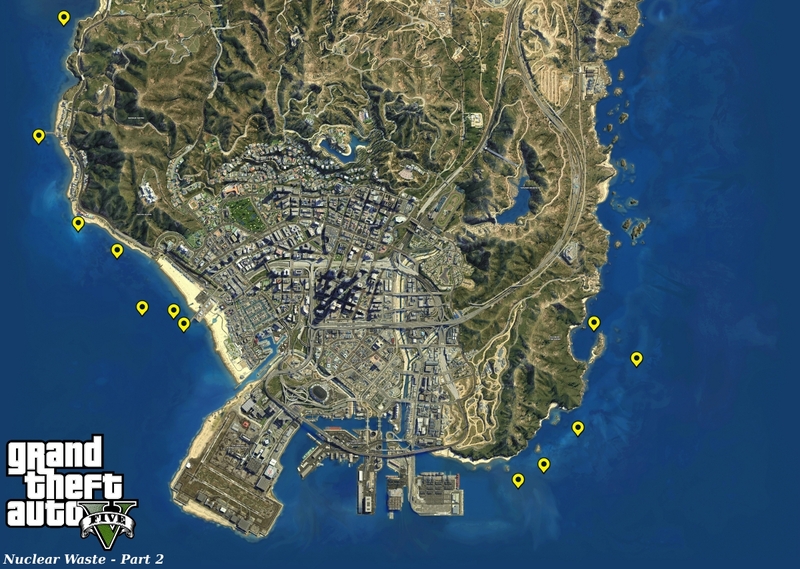 Cleaning up the oceans is huge task even in the GTA 5 so here we have a little something to help you with but you have to do all the hard work manning that submarine and get yourself wet in the ocean. Good Luck Matey! To get this mission started, you’ll need to travel to Paleto Bay and purchase the Sonar Collections Dock for $250,000. It’s expensive, but collecting these waste barrels will earn the player an extra $32,000 — and the “Waste Management” achievement. Check out the maps below, and do a solid for the San Andreas environment. 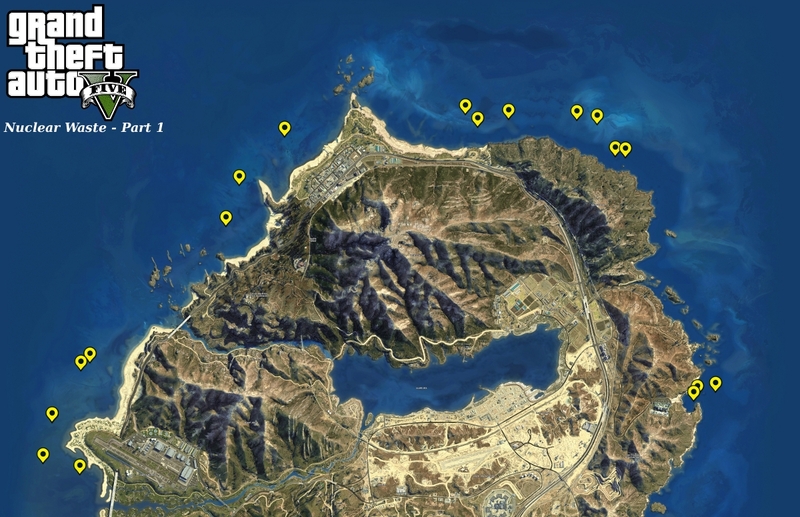 There are 30 waste barrels dumped in the waters surrounding San Andreas. You will find them on the maps. Start the mission by purchasing the Sonar Collections Dock in Paleto Bay for $250,000.